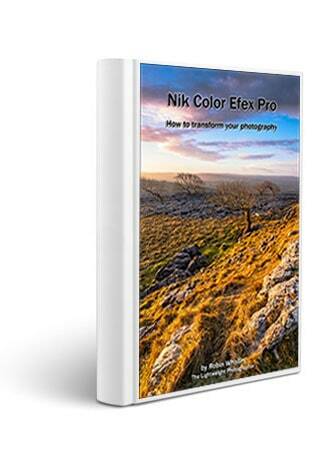 Any user of Nik Color Efex Pro 4 will find this e-book invaluable. The author explains all the presets and there individual settings/sliders uses in a clear and informative text along with illustrations/screen shots. The use of control points to edit specific parts of an image is also fully explained. Would recommend to anyone wishing to know more about this excellent software. If you are a Nik filter user and have tried out Color Efex you may find the sheer choice of filters at your disposal quite daunting. The software provides 55 filters, many of which are incredibly flexible. Unfortunately, many people chose not to use Color Efex as they are put off when confronted with such choice. If this is you, allow me to help you make Nik Color Efex a cornerstone of your image editing and unleash the true potential of this package. This book assumes no prior knowledge of Nik Color Efex and will explain all elements of the user interface in detail. The 55 filters and their controls are fully explained and demonstrated, so that you understand how to select the filters that are right for your images. Much of the information presented here has not to my knowledge been published elsewhere. The book also presents two full examples in detail, demonstrating the process of evaluating and working with an image in order to achieve subtle but incredibly effective transformation. You will be able to follow along with these examples by downloading the free supporting image files from the www.lenscraft.co.uk website. This is a significant book for any Nik Color Efex user, consisting 230 pages and almost 300 illustrations. Despite its size, the book gives users at all levels access to understandable information without needing to wade through lots of worthless filler content.